Pyothorax (pleural empyema) is the presence of pus in the pleural space of the chest cavity, which is the thin, fluid-filled space that lies between the lungs and the chest wall. Normally a small amount of fluid is located in this space (5 ml or less), which allows for the smooth movement of the structures in the thorax during respiration. Small blood vessels in the pleural lining produce this fluid, blood and lymph nodes take away any excess to keep it in balance. Pyothorax is a septic form of pleural effusion, which is covered here. The average age of cats who develop pyothorax is 4-6 years, however, it can develop in cats of any age. 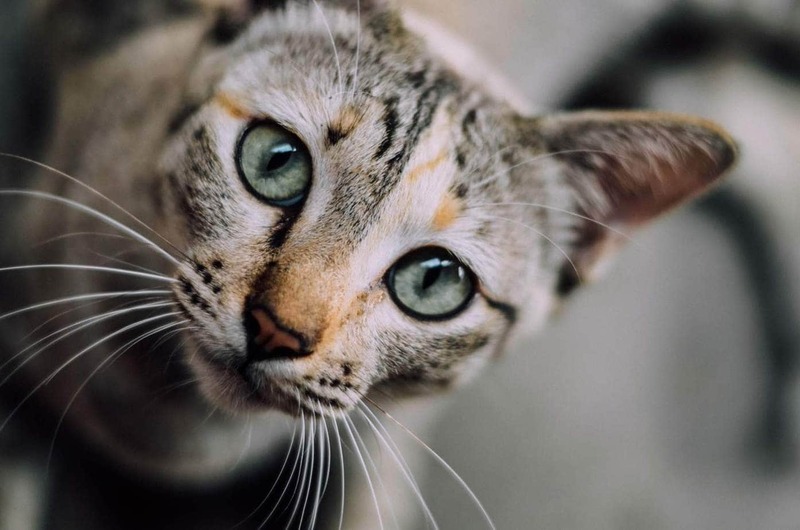 Multiple cat households have a greater incidence as well as entire male cats who roam outside, presumably because of the increased risk of bite wounds. There are no breed predispositions. Any pathogenic organism can cause pyothorax including fungal, viral, bacterial or protozoal, however, bacterial infection is by far the most common pathogen. The collection of pus is due to dead white blood cells and dead bacteria. Common bacteria involved in pyothorax include Pasteurella spp (the most common), Nocardia spp, Streptococcus spp, Clostridium spp, Proteus spp, Bacteroides spp and Mycoplasma spp. Less common causes include toxoplasma (protozoa), cryptococcosis and Blastomyces (fungal infections). Most cases of pyothorax are polymicrobial, which means there is more than one organism. There are several possible ways cats can develop pyothorax. In many cases, the initial cause may remain undetermined. The veterinarian will perform a complete physical examination of your cat and obtain a medical history from you. During the examination, the veterinarian will listen to the heart and lungs with a stethoscope which may reveal muffled heart and lung sounds. It is important to stabilise the cat if they are having breathing difficulty before diagnostics. Biochemical profile, complete blood count, and urinalysis. CBC may reveal elevated white blood cell count and anemia. Biochemical profile is usually normal, although hypoalbuminemia may occur. Other findings may include protein in the urine, elevated liver enzymes, elevated urea, creatinine, electrolyte imbalances and increased bile acids. Radiographs of the chest to look for the presence of unilateral or bilateral pleural effusion, foreign objects or tumours. CT scan to look for penetrating injury, foreign object or lung lobe torsion. Thoracocentesis (pleural tap) is a procedure in which a needle is inserted into the pleural cavity to remove excess fluid. Cytology (microscopic examination of the cells): Analysis of the thoracic fluid removed from the pleural cavity during thoracocentesis. Fluid samples should be sent for aerobic and anaerobic bacteria culture and sensitivity. Abdominal ultrasound to look for other organ involvement, abscess, structural abnormalities or foreign body. The goal of treatment is to relieve symptoms and treat the underlying cause. Antibiotic therapy will be necessary for up to six weeks. 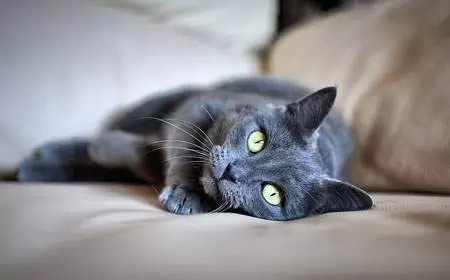 Most cats will require hospitalisation during treatment. Respiratory support such as oxygen therapy, bronchodilators or nebulisers may be necessary. Cats are often very sick and need to be treated with great care. The cat will be placed in an oxygen tent to stabilise him. Thoracic drainage tubes to remove fluids from the pleural cavity. Local anesthesia and IV sedation are administered to keep your cat comfortable during this procedure. Tubes will be flushed several times a day with 0.9% saline or lactated Ringers solution warmed to body temperature to wash the chest cavity (pleural lavage). Tubes will need to remain in place for between 4-6 days. While the tubes are in place, the cat will wear an Elizabethan collar to prevent him from pulling them out. Cytologic examination of the fluids removed which will be checked daily to look for signs of resolution. Administration of broad-spectrum IV antibiotics until cytology results return, after which, your veterinarian will tailor antibiotics to the type of bacteria present. Supportive care including IV fluids to correct dehydration, increase blood volume and electrolyte imbalance. Nutritional support if your cat is not eating. Surgery may be necessary to remove foreign objects and masses, treat abscesses or lung lobe torsion and debridement of damaged tissue. Exploratory surgery in cases which are unresponsive to antibiotics. Long-term antibiotic therapy will be necessary, administer medications as prescribed by your veterinarian. The veterinarian will perform follow-up radiographs and antibiotics will continue for at least a month after radiographs show all evidence of fluid/pus build-up has resolved. The cat will need cage rest or be confined to a small room during the recovery period. If the owner is willing to follow the veterinarian’s instructions the prognosis fair. This includes medicating for several weeks and regular follow-up appointments and chest radiographs. Fostering Cats – What Is Involved In Fostering A Cat?